What is Push Monkey ? How much does Push Monkey cost ? 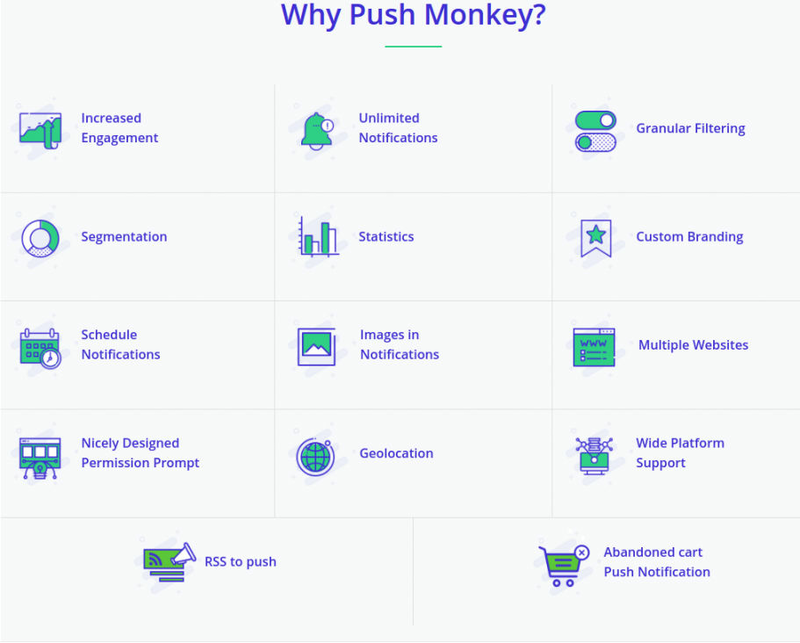 The pricing for Push Monkey starts at $16.0 per month. Push Monkey has a single plan - 2,000 Subscribers at $16.0 per month. 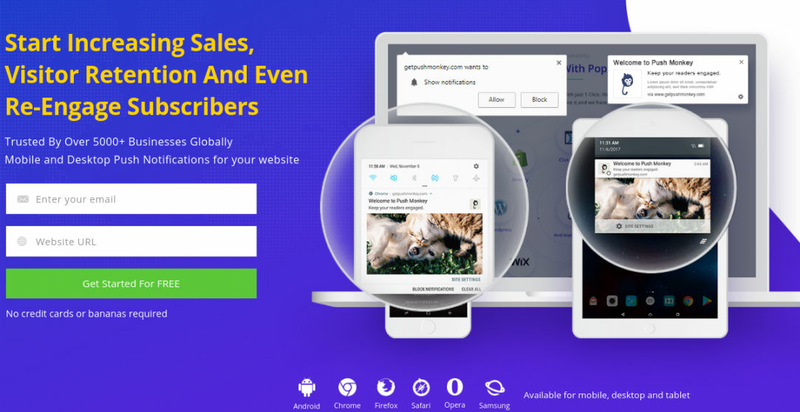 Push Monkey also offers a Free Plan with limited features. Contact Push Monkey for the custom solutions that fit your specific needs. Pros: Very easy to use and helps to make marketing campaigns at runtime. We don't need to depend on the tech team to build the campaign for us. With Push Monkey this happens in a few mins. Cons: I would like to see a lot more analytics. it would lead to better retention strategies all throughout.